The story: In this anthology of six short films, all set in the Old West, death lurks around every corner. In the first short, the one that gives the collection its name, singing outlaw Scruggs (Tim Blake Nelson) faces opponents eager to grab his title of the fastest gun in the West. In Near Algodones, a cowboy (James Franco) gets an unexpected response when he tries to rob a bank. Meal Ticket is a tale of a travelling showman (Liam Neeson) and his attraction, a storyteller (Harry Melling). In All Gold Canyon, an old prospector (Tom Waits) is on the trail of a rich seam of gold. In The Gal Who Got Rattled, Alice (Zoe Kazan) is on a wagon train, moving to Oregon in the hope of finding a new life and a new husband. 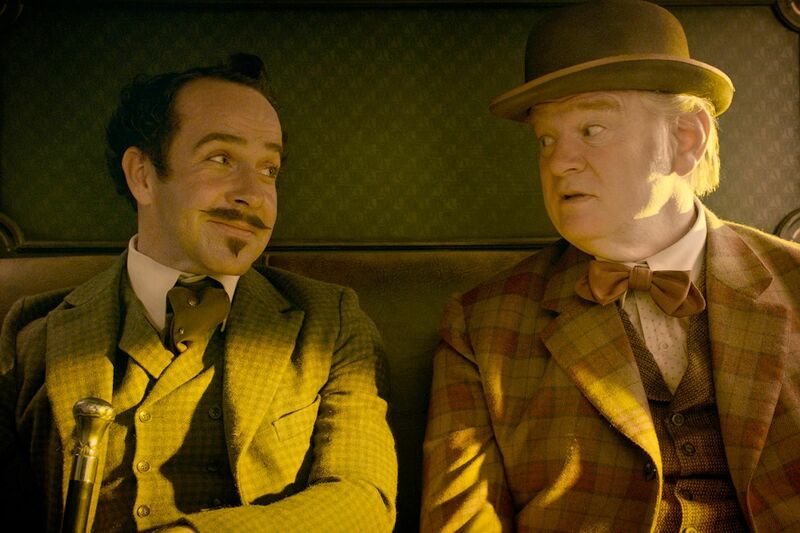 In the final short, The Mortal Remains, a group of people in a stagecoach, including an Irishman (Brendan Gleeson) a lady (Tyne Daly), become unsettled when details about fellow passengers emerge. There are the Coen brothers movies that are not about life's cruel jokes. This is not one of them. This collection of odds and ends, pulled from material the pair have written over the decades, is a portrait of Western scenes, painted with vinegar. The brothers sometimes make films with happier endings, but that usually happens when their source material is not their own. For example, the Oscar-nominated True Grit (2010)is based on the classic Charles Portis novel about a girl hunting the man who killed her father. The main intent in this collection, and in other films in which bad things happen to good people (Inside Llewyn Davis, 2013; A Serious Man, 2009), is comedy, of the bleakest kind. The Coens love how fate places a banana peel under the feet of those foolish enough to look up at stars. Desire makes fools of everyone, and to the Coens, that is rich comic material. There are a couple of standouts in this collection. Meal Ticket, about an impresario and his legless, armless and therefore completely helpless artist is a deliciously wicked analogy about the relationship between executives and the creative people they employ. The metaphor is a little on the nose - the artist is a limbless storyteller who must be fed, cleaned and taken to the toilet by the impresario - but the tale is told with great attention to detail and with an unvarnished love for the storyteller's art. The other standout is The Gal Who Got Rattled. It is a goof on several Western tropes, including the one about protecting the virtue of pioneer women from "savages". As with Meal Ticket, this is a story that lays bare the nasty, brutish and short nature of life on the frontier. As with the earlier story, the greater pleasure lies in the look of the piece. But most importantly, there is music of the highly ornamented dialogue - these folk are anything but laconic - especially when the language is rolling off the tongue of a classic Coen brothers buffoon, rascal or blowhard.